The debut album of Tunisian Chiha living in Germany is a small jewel. 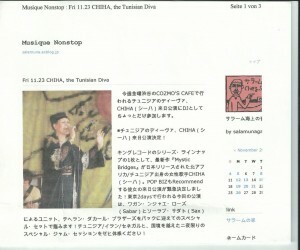 Chiha controls the rare art of the Nubat song and feels obliged to the Arabian-Andalusian tradition. The songs of this album deal with love and the difficulties of living in one more or less subtle racist society. Cleverly the artist allows setting to music her songs of western electronics and House musicians. To Ofra Haza East pop did not arrive safely for a long time, also Tarkan has turned out short-term phenomenon. Thus remains to hope that this jewel may fall at least on one open minority hands. The demo version of a “right” CD introduces, without reservations about newer dance floor rhythms and the German language, a promising Tunisian singer. In consideration of the only half-hourly playing time I thought of a pure advance version for Promo purposes – but no, it is the ready CD with which we must be content just with seven pieces. 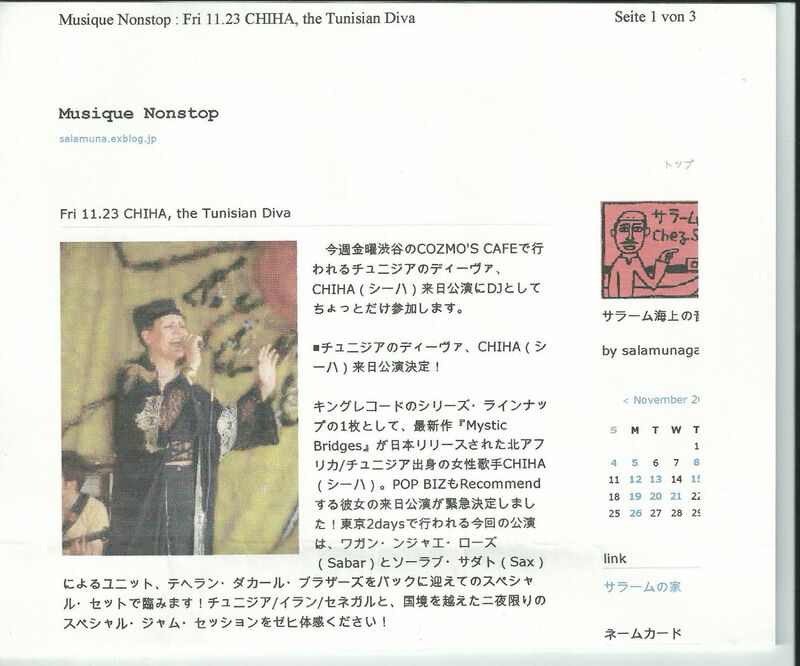 However, the voice of Chiha, a Tunisian associated with a German, is so impressive that I wish her one full-grown production of usual length and kind sincerely. The instrumental Backings come predominantly from the sampler of drummer Matthias ” Le of trip ” Tippner, who excellently put outside his thing – namely Chihas voice optimally: This would also have to succeed him in populating Central European dance grounds. Still: Arabian flute, chopping board, sounds and drums as well as the prank orchestra obligate for this genre would not stand Chiha also badly to face. Both in German chanted songs work on the CD at first like droll, bonus titles not quite to be taken seriously. “Oh mami” could help to establish Chiha on the market as a confidential tip for a charts position.